A pleasant balmy morning with golden colour scattering over the sky as a group of bikers prepare themselves for the perfect treat… an adrenaline-rich drive with others who share their passion for powerful bikes. Beneath the roaring engines and broad jovial faces was a name printed in bold – ‘DSK Benelli’. Offering unparalleled delight to the biking aficionados of Kolkata and Hyderabad, the premier superbike brand organised ‘DSK Benelli – Bond with Benelli Ride’ on Sunday, 21st of May across the two cities. Benelli owners in Kolkata and Hyderabad participated in the ride with great enthusiasm for Super Biking. The event in Kolkata was flagged off from DSK Benelli – Kolkata Showroom at Ecosuite Business Tower in New Town, Rajarhant at 6.30 AM. 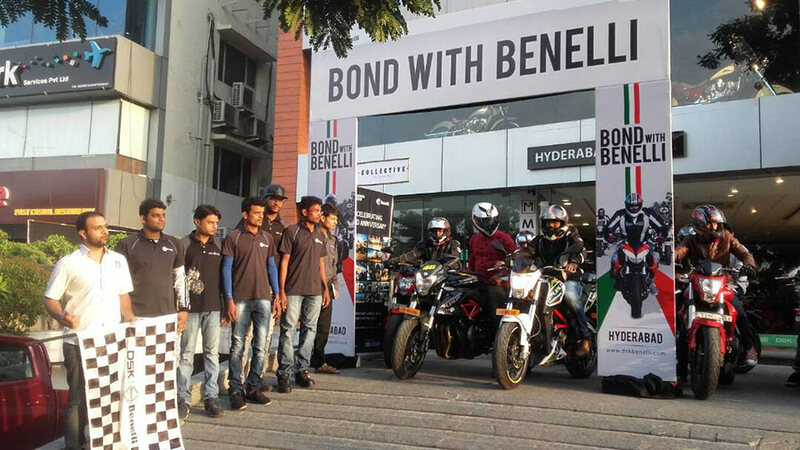 For Bond with Benelli’ excursion in Hyderabad, the tour followed a scenic roadmap highway/region after flagging off from DSK Benelli – Hyderabad showroom in Jubilee Hill at 6.30 AM. The event received a thumping presence of Benelli riders from in and around the city. All a biker needs is a picturesque road that leads to nowhere… and nothing can complement it better than a group of other bikers who share the same passion. ‘Bond with Benelli’ was aimed to satiate the passion of every biker who longs for the revving of a billowing engine. Since the announcement of the event, we received a phenomenal response from the ardent bikers of the two cities and we are very delighted that the initiative was well received by the DSK Benelli biking enthusiasts. We will also be organising similar events at various other cities across the country. 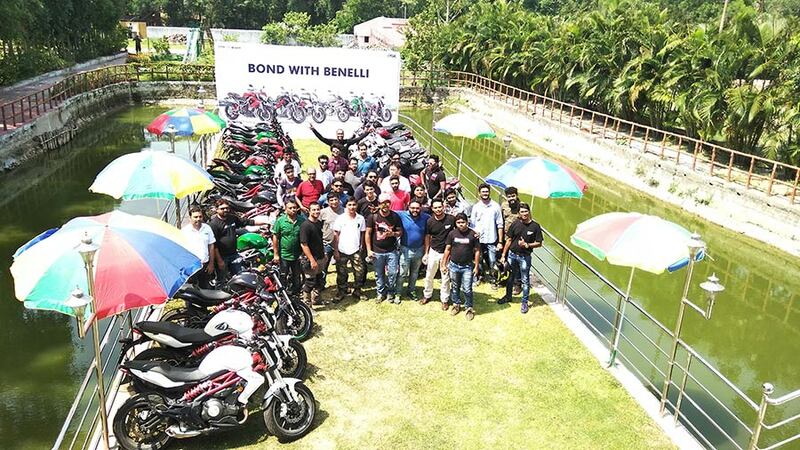 ‘DSK Benelli – Bond with Benelli Ride’ is an initiative undertaken by the legendary Italian superbike brand Benelli and its Indian counterpart DSK Motowheels, one of India’s most well-established and strongest players in the superbike industry. The touring event’s success has yet again carved the brand’s superiority within its domain.